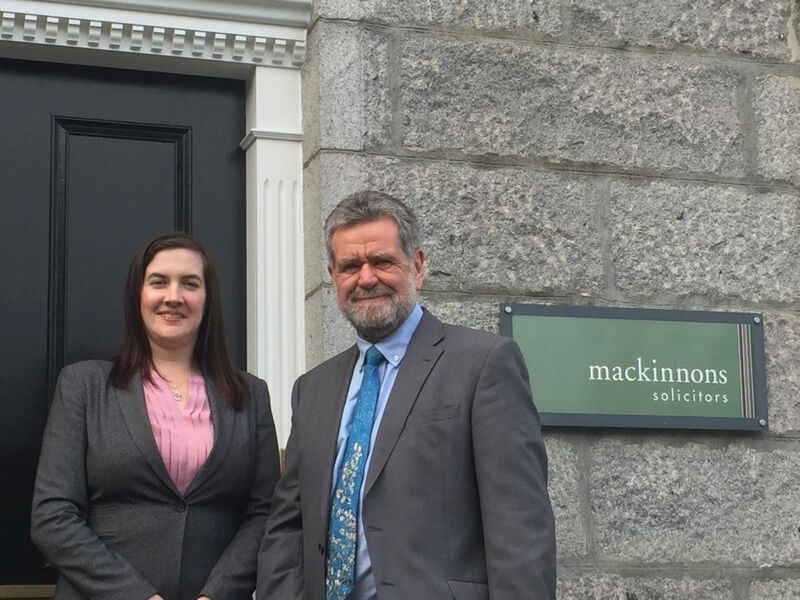 A leading north-east legal firm has launched a year-long fundraising drive for a charity which uniquely supports fishermen and their families as part of its 175th anniversary celebrations. “We are very proud to mark the firm’s 175th anniversary and have several special events planned throughout 2017 for our clients and business contacts to enjoy. “Consular work is an extra service for Norwegians and Danes in the north-east of Scotland and is something a little bit different which adds an extra dimension to what we can offer. An Aberdeen-based charity is marking thirty years of support for vulnerable and isolated local families by hosting a 1930s-themed afternoon tea fundraiser. 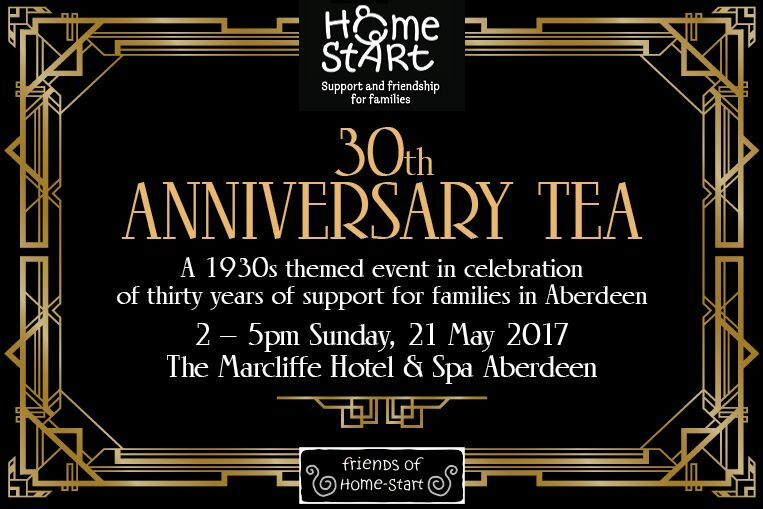 Organised by the Friends of Home-Start Aberdeen, the event takes place at The Marcliffe Hotel & Spa on Sunday, 21 May. Those who attend can look forward to an afternoon of opulent nostalgia from the era, including Rat Pack-inspired music and dancing. Guests will be greeted with a welcome drink on arrival, with the opportunity to browse a variety of stalls. Refreshments and entertainment will then follow in The Marcliffe’s ballroom. 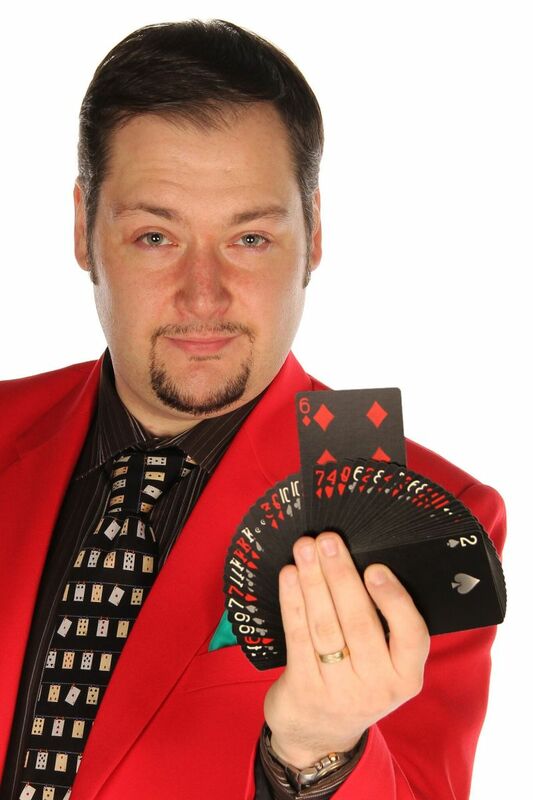 Well-known master of ceremonies Doug Duthie will preside over the afternoon’s activities, which include exclusive prize draws and a charity raffle. “This year’s afternoon tea is set to be particularly special, as it coincides with Home-Start Aberdeen’s 30th year in the city,” says Ally Cartwright, chairperson, Friends of Home-Start Aberdeen. “The 1930s theme is a wonderful one to work with and we hope that people really get into the spirit of it. While there is no obligation to dress according to the era, we’ll be delighted if guests choose to do so. Tickets for the 1930s-themed anniversary tea cost £30 each, with tables arranged in groups of 12. Orders can be placed by emailing admin@homestartaberdeen.org.uk or by telephoning 01224 693545. Guests are also being encouraged to bring along a bag of unwanted clothing or accessories; these will be collected on-site for Home-Start Aberdeen’s George Street charity shop. Home-Start Aberdeen has been working with families in the city for 30 years. The charity provides families who may be vulnerable or suffering from isolation with emotional and practical support. This support is provided by trained volunteers, who spend two to three hours per week with a family in their own home. Those who need help, or want to help, can find out more at www.homestartaberdeen.org.uk. A local family support charity has received a welcome 30th birthday gift in the form of a substantial donation from a major energy company. Nexen Petroleum U.K. Limited has made a recent donation of £5,000 to Home-Start Aberdeen as the charity prepares to celebrate its thirtieth year of supporting families in the city. Home-Start Aberdeen is a voluntary organisation that offers families who may be vulnerable, or suffering from isolation, with emotional and practical support in their own homes. The charity has just launched a ’30 in 30’ volunteer recruitment drive to coincide with its 30th anniversary year. It aims to attract and train 30 new home visiting volunteers in 30 weeks, to allow it to reduce the number of families that are currently waiting for support. This latest donation from Nexen’s community investment fund follows a series of previous funding gifts. Home-Start Aberdeen has received £19,000 from the energy company since 2013; Nexen has also provided Home-Start in Hillingdon, which is located nearby its London headquarters, with funding support. “Nexen is committed to helping to strengthen the communities where we live and work. We focus on supporting initiatives that build inclusive, safe and thriving communities. Home Start provides opportunities and resources for families who need a step up, often helping them before they reach crisis point and in the safety of their own homes. “Nexen’s generous support has made a genuine impact on our work in recent years. We have experienced a significant increase in demand from families during this period and Nexen’s funding has enabled us to grow to meet these demands. Home-Start Aberdeen takes a great pride in the quality of training that we offer our volunteers, as this training ensures that our families receive the best possible support. Home-Start Aberdeen’s 30th anniversary year commenced on Monday, 13 February 2017. The charity, which supports around 200 families and 300 children each year, works with referred families to help them access relevant health and welfare services, manage family budgets and nutrition, engage with their communities and enjoy family life again. Family support charity Home-Start Aberdeen has issued a plea for new volunteers as it prepares to celebrate its thirtieth year of support and friendship for vulnerable city families. The Aberdeen scheme, which has grown to become one of the largest Home-Starts in the UK, is aiming to recruit 30 new volunteers in 30 weeks in order to drive down numbers on its waiting list. Home-Start Aberdeen provides local families who may be vulnerable, or suffering from isolation, with emotional and practical support in their own homes. This support is delivered by trained home visiting volunteers, who are carefully matched with a local family by their Home-Start Aberdeen co-ordinator. The charity’s small staff team currently supervises the efforts of over 100 volunteers who, in turn, provide around 200 families and 300 children with weekly home-based support. 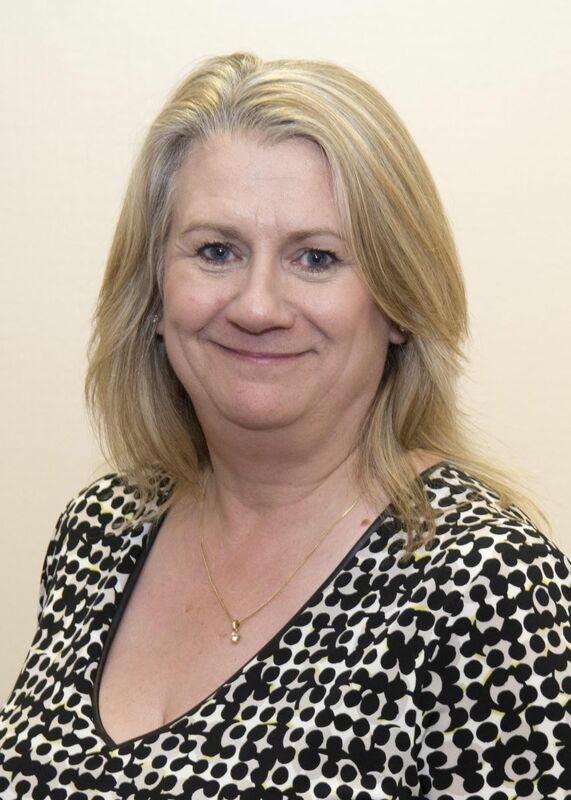 “Home-Start Aberdeen has come a long way since its beginnings as a small project operating from a box room in the Mastrick area of the city,” says Georgette Cobban (pictured), scheme manager, Home-Start Aberdeen. “Our formula of allocating families a home visiting volunteer, who normally has parenting experience themselves, is proven to be of genuine benefit to those who, through no fault of their own, may be struggling to cope with family life. “We receive family referrals on an ongoing basis from health visitors and social workers, who see first-hand the positive difference that Home-Start Aberdeen can make. At present, we have a waiting list of over thirty families and we are desperate to give them the help they need as quickly as possible. Home-Start Aberdeen’s next preparation course for new volunteers starts on Thursday, 16 February 2017. Additional training courses will take place throughout the year to support the charity’s ‘30 in 30’ target. To find out more email volunteering@homestartaberdeen.org.uk or call 01224 693545. Home-Start Aberdeen provides vulnerable local families with emotional and practical support in their own homes. The charity has been working with communities in the city for 30 years. Its team of trained home visiting volunteers work with referred families to help them access relevant health and welfare services, manage family budgets and nutrition, engage with their own communities and enjoy family life again. Further information is available at www.homestartaberdeen.org.uk. Old Susannah watches the latest developments in the ‘Deen and the wider world and helps Voice readers to get their whites right. By Suzanne Kelly. One of the best events in recent memory? The Party in the Park held by Common Good Aberdeen last Saturday was fantastic, despite the rains. Nearly 4,000 people visited over the course of the day, all of the thousands of home bakes Mrs B created over a course of weeks disappeared long before the day ended, and the shelter of the marquee made the rain a minor inconvenience rather than a show-stopper. And what a show it was. Gerry Jablonsiki and the Electric Band opened the entertainment, and played an extraordinary set (I must say the solos Gerry comes out with are riveting, but you can’t play like that without a solid rhythm section. The big surprise for many was the unique, creative duo ‘The Pounding’ whose electronic compositions went over a storm. The final act of the day were the school choirs performing ‘Sing’. The audience went wild as they danced to Danse MacCabre’s ceildh music. Marie Boulton, Depute ACC Leader, made a brief but wonderful speech; many politicians came out to have fun and talk to their constituents. Everyone was pleased in particular that Dame Anne Begg MP was there, proving that the gardens are accessible. They could be made more accessible it is true – but access does exist, despite odd claims to the contrary. I would like to apologise for not getting to have proper chats with a number of people, but I was charged with getting the acts on and off stage according to a strict timetable. Neale Bothwell and I did a fair job of it, I think. Don’t wait for someone to throw another event, but when we next do get a dry, sunny day, use your gardens – they are common good land, and you own them. Another event of this past week was Aberdeen Voice’s 2nd anniversary drinks held in Ma Cameron’s, where the idea for AV was launched. Members of local band Toxik Ephex had been talking about the need for an independent newspaper, and two years later Fred Wilkinson and a host of volunteers are keeping AV going. People came and went over the course of the night; we were pleased to see some of the Aberdeen cyclists, a member of the Silver City Surfers, and in particular Anthony Baxter. Baxter has a new version of ‘You’ve Been Trumped’ about to start a UK and North American tour (details elsewhere in Aberdeen Voice) with new footage of The Donald. All of these positive developments are enough to sap a girl of any sarcasm. Thankfully, there are always a few banking, tax, trident, deer cull scandals to keep me on track. 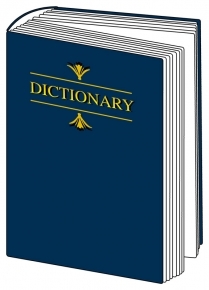 So, without further hesitation, here are a few definitions. White Cliffs of Dover: (noun, Eng. geography) A steep, dramatic chalk cliff face on the South of England. The iconic White Cliffs of Dover are in the news this past week; some NIMBYS are objecting to a proposed housing development near them. The Cliffs also have some problems with erosion, but the main issue of course is that they are not accessible. There is no access for the able-bodied, let alone people with any mobility issues, and to be honest, the connectivity is just not there. If the cliffs could just be raised (or would that be lowered?) to street level, and a bosque, theatre and parking be thrown in, they might just be onto something there. As to refusing a housing development, well, that would mean that England is not open for business. Craig Whyte: (Proper Noun, possibly Improper noun) – a colourful character. Oh dear, could it be that Craig Whyte is not whiter than white? The would-be king of Rangers has had one or two previous problems in the boardroom. This would-be white knight sadly no longer looks set to take over Rangers. Private Eye magazine unkindly suggests that someone with a failed directorship or two is not a fit person for the Rangers role. Indeed they are correct; Whyte’s considerable talents would be used to best advantage in central government. To add to this week’s colour theme, it would seem that Green owns the club, but Brown is trying to make the fans see red, and opt for a buyout. Will Rangers ever be in the black again? It is currently a bit of grey area. Whitewash: (verb, mod English) to cover up bad news, dilute the truth, gloss over facts for political, personal or monetary gain. Aberdonians and UK taxpayers will be most unfamiliar with this term, and Old Susannah thought you might like to know more about it. It will be difficult, but I shall try and find some examples. On the national level, there have been one or two little Inquiries which have unjustly been described as being whitewashes. There was the Hutton Inquiry into the small matter of how a bland dossier about Iraq was magically transformed into a document proving Sadam Hussein was about to use his Weapons of Mass Destruction on the UK, and would only need 45 minutes to wipe us out. This Inquiry found that changing a report into a justification for waging war was a bit naughty, but was fair enough. No less a person than Alasdair Campbell said he defended ‘every word’ of the ‘sexed-up’ dossier. Why bother to have an Inquiry at all I wonder? If the man who wrote the thing for his boss Tony Blair says it’s above-board, then who are we to question it? We’ve also had the Levenson Inquiry, a great spectacle for the whole family. One frail little old pensioner, a Mr R Murdoch is cruelly being asked questions about newspaper reporters hacking into phonecalls and emails. The poor Australian gent keeps telling the investigators he can’t remember anything, but they keep asking him questions. Just because he and his family own the newspapers which carried out the illegal spying is no reason to think he’d know about it or be in any way responsible for it. Are there any whitewashes going on here in the Deen? Let’s think. The city has been totally transparent over the Tullos Hill deer cull; they pride themselves on their transparency and consultation with the people; quite good of them really. Freedom of Information requests are answered immediately and clearly. It’s not as if the FOI officers are waiting until the last moment to supply information, or that the information they supply contradicts information they’ve previously released. Surely they have nothing to hide? Were the city in the right to have guns blazing on a hill used by families, motorcyclists, animals and indeed the occasional free-range arsonist without giving warning? The mainstream press quoted a ‘council spokesperson’ as saying ‘there was no legal requirement’ for any warning signs. Has this whitewash covered the matter sufficiently? We shall see what the public and the authorities think. 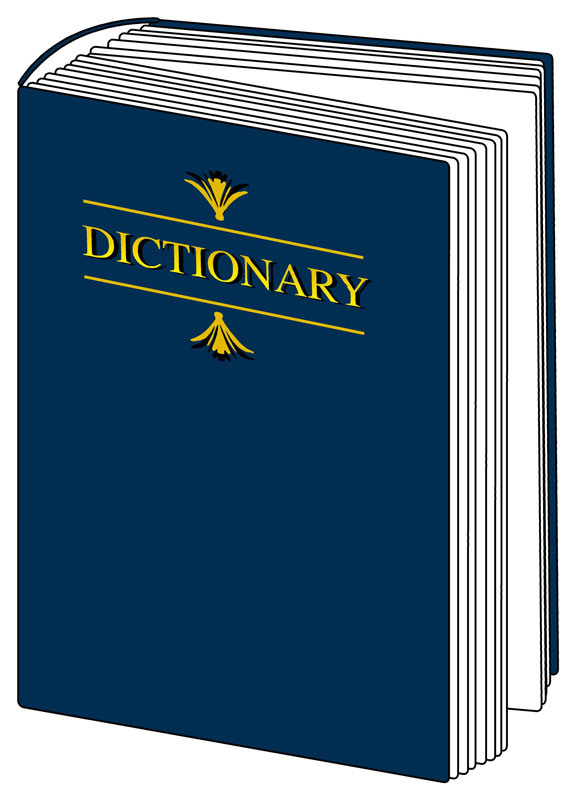 White Collar Crime: (Modern English phrase) to commit a non-violent, financial criminal offense. WE must pause to think of those in our society who are being asked to go without, who are being forced to justify their dependence on State handouts. Yes, I am worried about our banking sector. We clearly did not give them enough of a bail-out, in fact, they can’t even afford decent IT systems, and some financial institutions are experiencing problems with their electronic banking and cash machines. I do hope none of the bankers will be terribly inconvenienced by people demanding money. Sometimes however, when forced to the wall, a banker will have no alternative but to turn to crime. It is because we do not have a caring mentality, and because we do not yet have ‘The Big Society’ (whatever that is) which Cameron wants that poor Barclays was forced to what certainly looks like white collar crime. Unkind authorities are asking for £290,000,000 from the Barclays group for a wee matter of its fixing interest rates. What’s the problem? I thought we wanted fixed interest rates? Unfortunately the bank seems to have given false information about rates it was borrowing money at. Firstly, £290,000,000 is really small change, in fact, it would only get you two granite webs at today’s rates. Secondly, how is a poor bank like Barclay’s going to get its hands on this kind of money? I think the taxpayer should voluntarily help this poor bank out. After all, if we don’t do so voluntarily, no doubt the treasury will just give them our money anyway. I believe there used to be a commercial with Mr Bean with the repeating phrase ‘Well, thank you BARCLAYCARD!’. Barclays, thank you indeed. Old Susannah is going to have to cut it there, as she is in Edinburgh – and the sun is out. Next week: A look at some of the little arguments within Council Chambers. The master of 19th century fiction may have caricatured imagination-free learning thus, but would have been heartened by the spirit of the questioning and discussion evident during the meeting of the nascent Aberdeen Dickens Fellowship on 26 June. Illustrating very well the group’s desire to ensure that appreciation of Dickens’s life and work is enhanced in an atmosphere of mutual understanding and fun, Dr Paul Schlicke, an academic, who is anything but dry and who displays not as much as a single speck of dust, shared his globally-renowned knowledge of Dickens’s life with fellow travellers. It was a fun evening, and it is the group’s intention that these will continue, with some plans already in place. The next gathering of the group will take place in September and members will be invited to give a party piece, by reading favourite passages from Dickens. Our Parish, from Sketches by Boz, will be the group’s text for discussion. On Thursday October 11, James Naughtie, Rothiemay loon, University of Aberdeen alumnus and scourge of politicians on Radio 4’s Today, will lecture on Dickens. The topic and venue will be announced at a later date in Voice. Dr Schlicke is negotiating with a renowned Dickens biographer to speak to the group and Keith O’Sullivan, Senior Rare Books Librarian, has offered to set up an exhibition of the University’s Dickens treasures, of which there are many. In fact, Aberdeen itself has one of the very best Dickens collections in the world. There is unanimous agreement that there will be a future session devoted to the Downie Slauchter, the Aberdeen murder mystery featured in Household Words in1852. 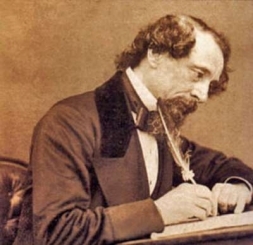 There has been a call for a series of discussions based on Dickens and ******** topics and those on the mailing list have been invited to suggest such themes for future meetings. Add in further suggested Dickensian events and a schedule for the 2012-13 season is looking very viable. The group aspires to become the first Scottish affiliate to the Dickens Fellowship and urges anyone with an interest in the author to join in the activities. On Tuesday 26th June the Aberdeen Dickens Fellowship group will meet at the University of Aberdeen King’s College campus, to launch their 2012 programme of events. The meeting will be hosted by Dr Paul Schlicke, honorary senior lecturer at Aberdeen University. “The meeting will consist of an informal seminar discussion of Dickens’s life. No prior knowledge of the topic will be required and no preparation expected. I shall lead the discussion myself and will welcome questions and contributions from everyone present. There will be no charge for admission, and everyone interested is most welcome. “Then in September we’ll hold our next event, when we will discuss the group of sketches entitled ‘Our Parish’ from Sketches by Boz, and members will be invited to read favourite passages from Dickens, chosen by themselves. “Thereafter we plan to schedule a series of seminars on topics under the general heading ‘Dickens and’—that is, Dickens and Money, Dickens and Charity, Dickens and Education, etcetera. “We’ll have one meeting devoted to Dickens and Aberdeen. He came to give public readings on two occasions, turned down an invitation to stand for rector of Marischal College, and published an article in his journal Household Words about the local legend of the ‘Downie Slauchter’. We also plan to have a viewing of Aberdeen University’s magnificent Dickens collection. 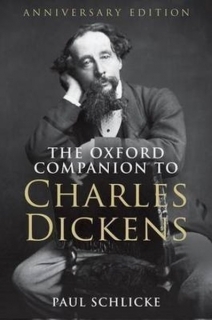 “The essential point is that we should meet in fellowship; it is not intended to be an academic organisation, but rather a meeting of people who simply enjoy reading and talking about Dickens and his works. Anyone is welcome to participate”. The MacRobert Building is the tall building on the corner of King Street and St Machar Drive . There is ample parking adjacent to the building, free after 4.30pm. The entrance is on the south side of the building (i.e., facing in the direction up King Street towards the city. On entering the building, turn left and then through the doors on your right, and down the corridor for lifts. Future events which have been arranged will also feature the actress Miriam Margolyes who will be at the University presenting her one-woman show, “Dickens’s Women” on 30th August. Tickets for that event are available from the Aberdeen Box Office on Union Street . With thanks to Kathy McIlwaine. People in Aberdeen are being asked to support the British Heart Foundation’s biggest ever fundraising appeal – Mending Broken Hearts – by organising a local fundraising event or by volunteering their time to help raise money. The Appeal was launched to mark the charity’s 50th anniversary this year. “We are urgently looking for big-hearted locals to support BHF Scotland by organising their own fundraising event. There are so many different ways to get involved, and we can help you get started. You can support us however you want to – we have had lawnmower races, sponsored silences, zumbathons. Just tell us what you want to do and we’ll support you. The goal of the Mending Broken Heart Appeal is simple: to fund the research that could begin to ‘mend broken hearts’ in as little as 10 years and save and improve the lives of millions within decades. There is currently no cure for a broken heart. This ground-breaking research can change that and help researchers learn how to teach the heart to ‘heal itself’. In order to do this the charity needs to spend £50 million on the research to repair damaged hearts. The hope is, if it can get the money, it could be funding trials with heart failure patients in as little as five years. That’s why local support is so vital. Every person in Aberdeen really can make a difference and help give hope to millions. If you would like to find out more about organising your own 50th anniversary fundraising event, or are interested in volunteering for BHF Scotland, please contact Kathy on 01466 740375 or email mcilwainek@bhf.org.uk today. Because together we can beat heart disease, for good. Where will you be in July? 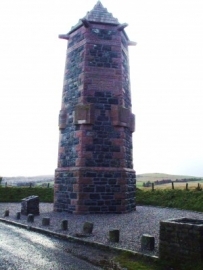 I hope to be at the Harlaw Monument on Sunday, 24 July 2011, to recall the 600th anniversary of one of Scotland’s more important encounters. Essentially the battle was a contest between a Macdonald and a Stewart over an earldom far away from each. The day-long battle was fought two miles west of Inverurie, somewhere north-west from the monument. Yet the way in which Harlaw altered Scotland’s cultural imprint is recognisable to this day. As a battle however, Harlaw was indecisive. Both sides fought each other to a standstill, bloody and unbowed, and each claimed victory. But under cover of darkness on that warm July evening six centuries ago, both sides retreated. “Reid Harlaw” and “the sair field o Harlaw” are thoroughly represented in ballad, song, story and legend. Good modern accounts are contained in such books as Peter Marren’s Grampian Battlefields and Raymond Campbell Paterson’s The Lords of the Isles. Lt-General Sir Peter Graham, one-time CO of the Gordons and latterly GOC Scotland, gives a splendid presentation from a military standpoint, describing the forces and the terrain, measuring their qualities, and relating how the command structures might have operated. The impression Sir Peter conveys is of a hand-to-hand battle that became increasingly desperate as the day wore, on, each side becoming more and more tired, each increasingly weary army hurling bodies at the other, looking for the tiniest advantage to turn the tide. Finally, with one final heave, the forces of one caused the other to step back. But the apparent victors no longer possessed the strength either to deliver the killer blow, or to undertake wholesale pursuit. The prize of the earldom of Ross created the battle, and in the struggle over power and land, Donald, Lord of the Isles and Alexander Stewart, Earl of Mar, emerged as champions of each side. Whoever controlled Ross, territory stretching from Inverness to Skye, controlled northern Scotland, and held a considerable key in manipulating the rest of Scotland down to the Tay. On one side was Alexander Stewart, thuggish son of the highly unpleasant Wolf of Badenoch, who gained the earldom of Mar through the murder of the incumbent earl, then forcibly marrying his widow. On the other was Donald, 2nd Lord of the Isles, head of what was a maritime kingdom almost in its own right, and whose forces had by now entered the lands of Ross. If the intended conquest of Ross was to be made secure, then Donald would have to take out Mar’s forces by a pre-emptive strike. Thus did Harlaw occur. Ensuing centuries create a David-and-Goliath picture – the chivalrous Stewart, noble Earl of Mar, against the wicked Donald of the Isles. Mar is aided only by minor levies from Aberdeenshire, the Mearns and Angus plus gallant burghers of Aberdeen under Provost Robert Davidson, while the scheming Donald heads 10,000 rapacious caterans. A spin-doctoral touch ensures that the event goes down in history as Highlander versus Lowlander. the actuality is that he headed some three dozen merchants anxious to protect their business investments. A glance at the cultural composition of the armies indicates that beyond a small professional core in each, both sides were made up of loons and callants whose commitment to campaign did not extend beyond getting the harvest in. The actual battle possessed neither subtlety nor tactics, with military strategy such as it was confined to a series of heroic encounters. If the event was portrayed as “Highlander against Lowlander”, then it was mis-cast in the same way as the Jacobite Risings are. There were folk of each persuasion on each side. Mar’s army would have contained a plethora of Gaelic speakers, while the educated in Donald’s forces would have spoken the same languages as Mar’s chief officers. Among the casualties were Hector Maclean of Duart, Sir Alexander Irvine of Drum and Provost Davidson of Aberdeen. Davidson’s name is the product of more legend. Legend has it that he rode out from Aberdeen heading “a citizen army”; the actuality is that he headed some three dozen merchants anxious to protect their business investments. The inscription carved by the architect Dr William Kelly on the Harlaw monument refers to “…Davidson and the  Burgesses of Aberdeen who fell [at Harlaw]….”. In the great hall of Trinity Hall in Aberdeen are displayed the remains of two banners said to have been carried by members of the Weavers at Harlaw, along with the provost’s sword. Yet it’s worth asking the question: what would have happened if the pyrrhic victory of the Lord of the Isles had been transformed into actual conquest? What would have been achieved by Highlanders rampaging south from Aberdeen to the Tay? How much of today’s lost Celtic culture would have been restored? And how? Any answer would have depended on Donald’s Highlanders and Islesmen becoming true regular soldiers, enforcing a conquest, using their talents as an army of occupation to rebuild the countryside in the mould they envisaged, and where Gaelic displaced Scots as the lingua franca. Compare the picture as occurred under the Allies in post-war Europe, and where history has been written by the victors. Instead, the withdrawal of Donald’s influence in central and eastern Scotland began the gnawing at the strength of the Lordship of the Isles and the natural authority exerted through the clan system. Slowly the wane of each began. The Lordship of the Isles was forfeited in 1493, with the title surviving to be borne by the eldest son of the monarch, as Prince Charles holds now. In Harlaw began the inexorable downfall of the clan system that was dealt a mortal blow at Culloden three centuries later. Meanwhile, post-Harlaw Aberdeen reacted swiftly to prevent the city ever being threatened again. In 1412, the safekeeping of the town was placed in the hands of……Alexander Stewart, Earl of Mar, who for the next 23 years became Captain and Governor of Aberdeen. Under his direction, a relic of Harlaw survives to this day, for his magistrates quartered the city into municipal wards. From these first four divisions came the electoral wards of today. Harlaw today lives on in balladry, pipe tunes, street names, a school, a room in Aberdeen Town House and as the monicker of a council works depot. his body was borne back to Aberdeen to be given an hon­oured burial in the Kirk of St Nicholas. Harlaw changed for ever the cultural and linguistic face of Scotland. It showed that the power of the Lordship of the Isles was no longer invincible; it proved the start of the end for the clan system; and it gave impetus for the Scots and English languages to prosper at the expense of Gaelic. Robert Davidson has become something of a cult figure down the years, the only civic head of Aberdeen ever to lead the citizenry into battle, and who six centuries after his death is still revered as a hero. Yet what do we really know of him? Flora Davidson and Nick Hide, researchers to Clan Davidson, state firmly that he was “a wealthy merchant, an innkeeper, wine importer, customs inspector, provost and pirate”, going on to point out that after the dreadful confrontation, his body was borne back to Aberdeen to be given an honoured burial in the Kirk of St Nicholas. But there remain puzzles about Davidson the man. His colourful career carries respectability as a merchant, but hardly to the level where he would merit a knighthood. Yet on the ceiling of the St Nicholas Room in the Town House of Aberdeen, he is portrayed as “Sir R Davidson”, with a coat-of-arms best described as putative rather than actually belonging to him. Equally, there is dubiety whether he was provost at the time of Harlaw. According to data of Clan Davidson, he was provost in 1408. So where is proof of Davidson’s greatness? My guess is that the answer lies in two points: the first is that he was interred in the Mither Kirk, a resting place reserved only for our most revered citizens. The second is that folk memory, a powerful tool in history, maintains a legend that would be very difficult to disprove. The bottom line is: why would we want to disprove it anyway? What a magnificent story to relate down the centuries – how a hero provost placed himself at the head of an armed contingent and gave his life in defence of the town he led and loved. Here is a role model readied to be copied by anyone today.